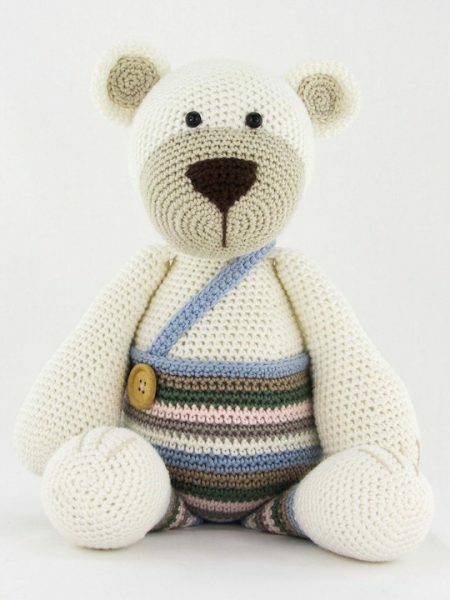 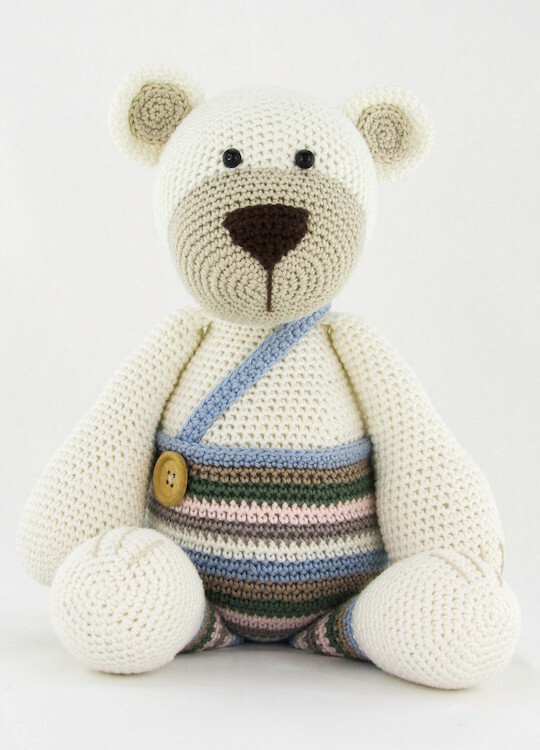 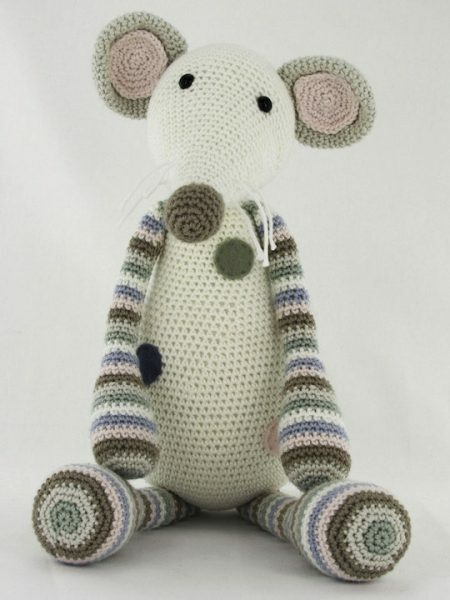 Bear Bram is crochet with coton and a 2,5 mm crochet hook and is about 30 cm tall. 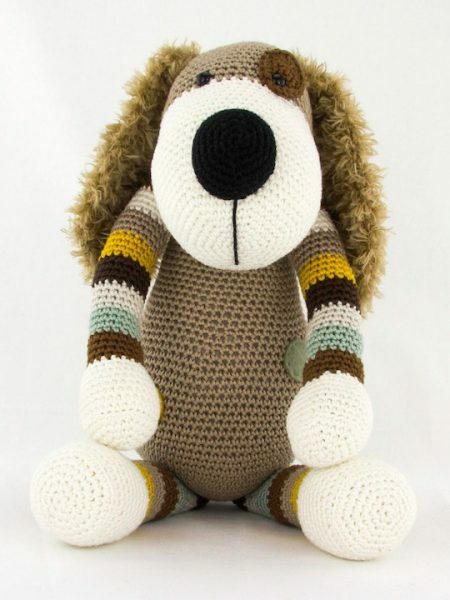 This is a basic pattern. 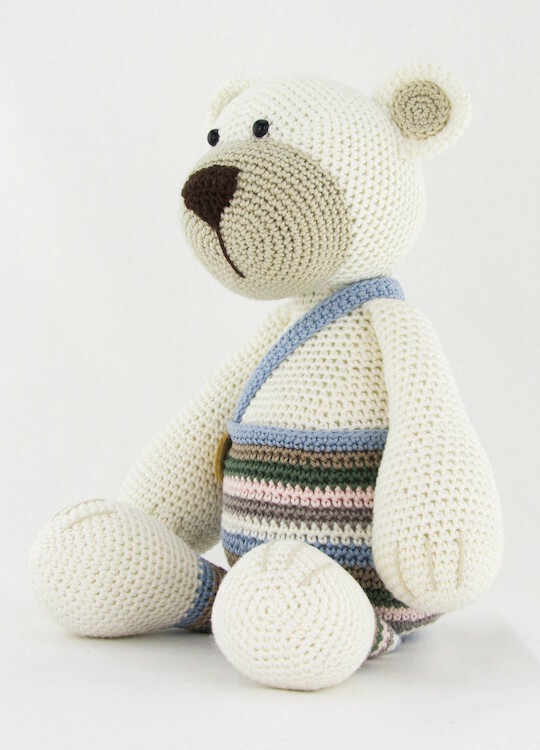 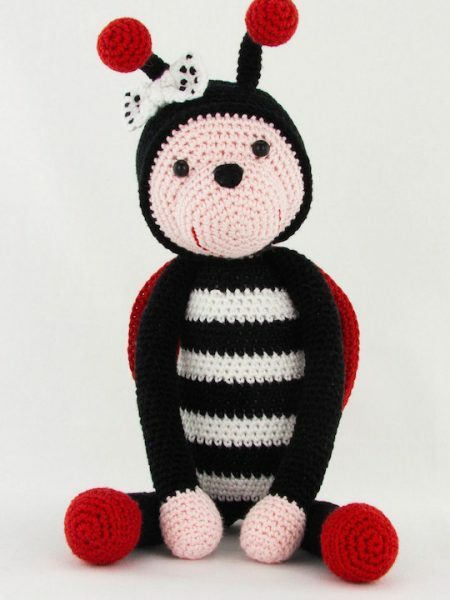 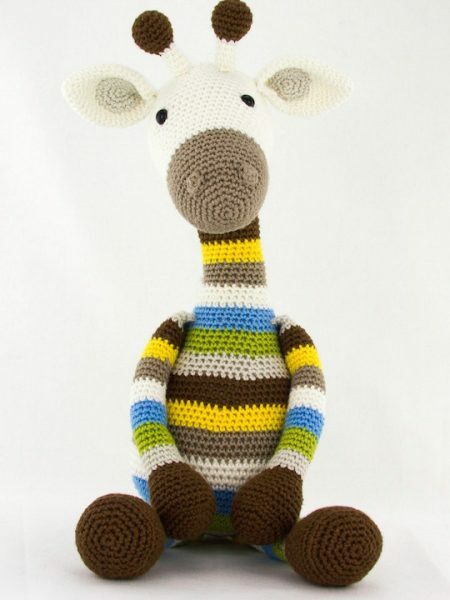 ​Crochet the bear for example in one color without the pants and decorate with dots. 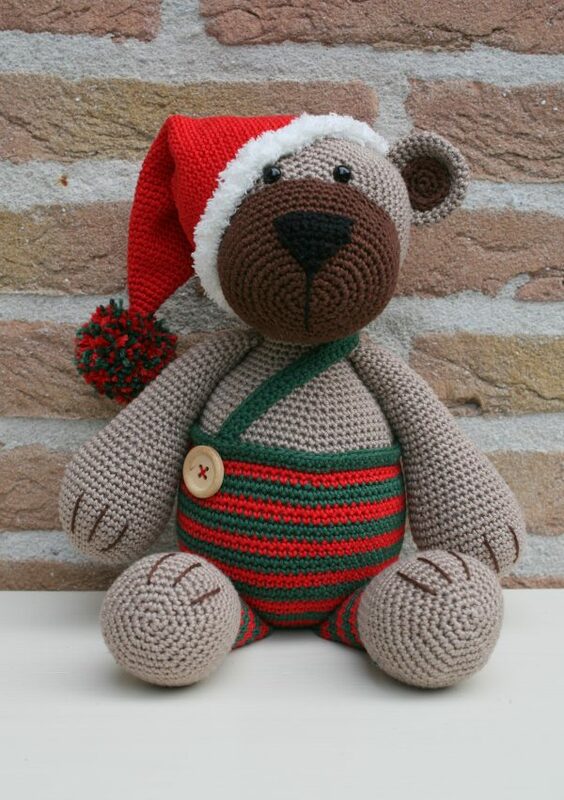 ​Just vary and you can make another bear each time! 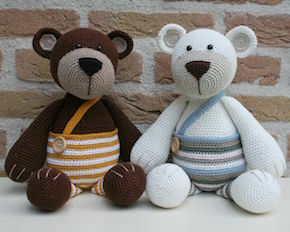 ​Marron 0096, Gold 0073, Chanvre 0022 and Blanc 0010 from Phidar Coton 3. 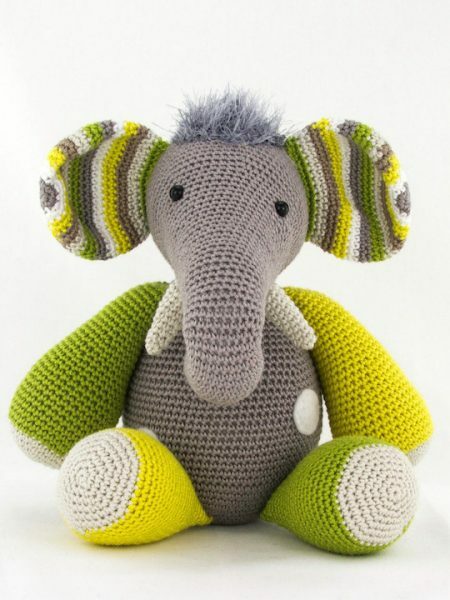 ​Craie 0049, Perle 0004, Azur 0075, Chanvre 0022, Rosee 0001 and Mercure 0008 from Phildar Coton 3.